Heijo Hangen (born April 29, 1927 in Bad Kreuznach ) is a German constructive artist and documenta participant from 1977. 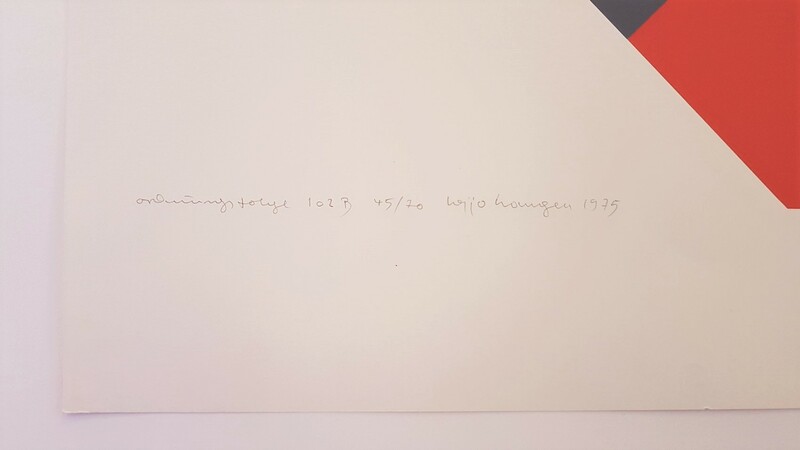 Heijo Hangen was born in 1927 in Bad Kreuznach. From 1947 to 1950 he studied at the Landeskunstschule in Mainz. He then received a studio scholarship from the state of Rhineland-Palatinate. In 1956 Hangen moved into a studio in the Künstlerhaus on the Asterstein in Koblenz. During this time he worked as an exhibition and graphic designer in Koblenz and Bonn, where he realized numerous assignments for American educational institutions (such as the USIS). With the development of his image module in the early 1960s, his artistic fame and his presence in gallery and museum exhibitions increased. In the 1970s and 1980s, he was regularly represented at the major art fairs in Basel and Cologne. Hangen realized now first art on construction projects (for the hospital Kemperhof in Koblenz and the employment office in Neuwied). In 1976 Hangen received a studio scholarship in the Villa Massimo in Rome, in 1977 he was invited to documenta 6 in Kassel. From 1977 to 1993 he was a lecturer at the European Academy of Fine Arts in Trier. In 2011, Hangen received the Peter C. Ruppert Prize for Concrete Art in Europe , and in 2013 the new Mittelrhein Museum in Koblenz dedicated his own space. The first experiments in the field of abstraction began around 1950, and from 1952 Hangen began with constructive works, which at first are still strongly committed to the Suprematist tradition. 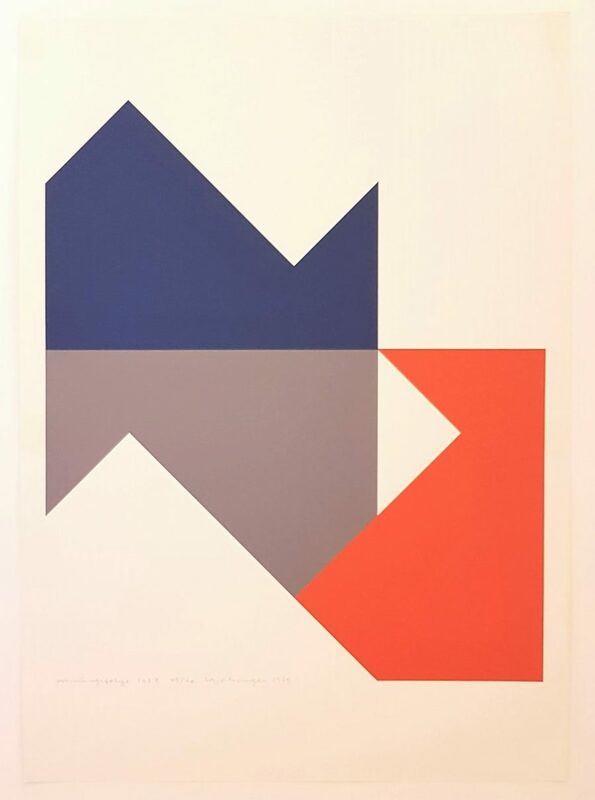 In 1962 he developed his typical modular form , which consists of a division of the square into triangular elements, which allows him to combine all of his works – regardless of which year or stage of creation – from then on. With the use of an ever-same form-module Hangen 1962 has got rid of any composition problem. In this way, he was able to concentrate entirely on the effect of the colored surfaces in his work. This approach and its basic module he has remained faithful to today with the utmost rigor, it can be considered as his original contribution to constructive art.